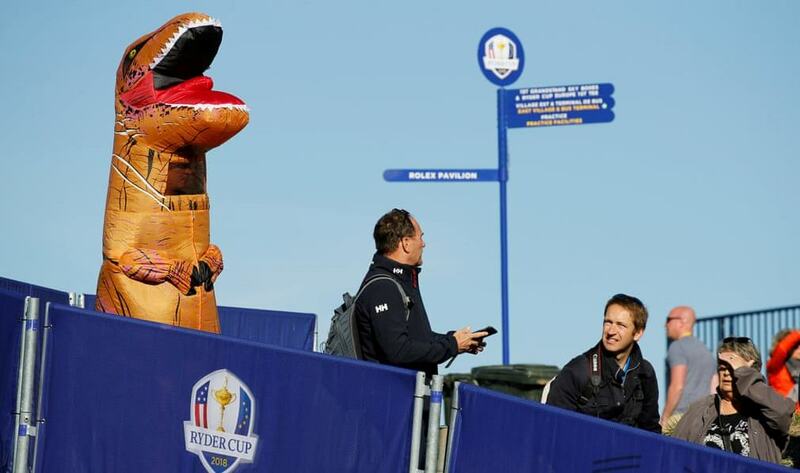 Ryder Cup week is a good time for Sporting Pictures of the Week. 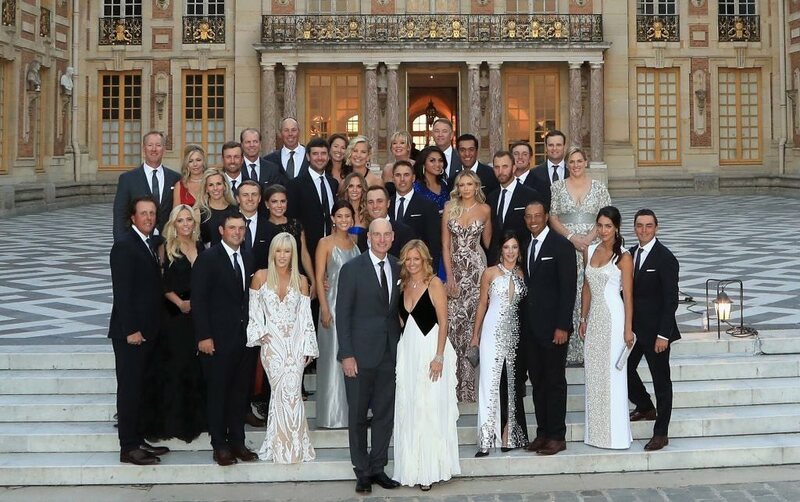 Here the Europe team gets together for a post-match team photo without a hint of the pretentiousness of last week’s US photo. Instead the WAGs are wearing the traditional English costume of shiny puffer jackets. 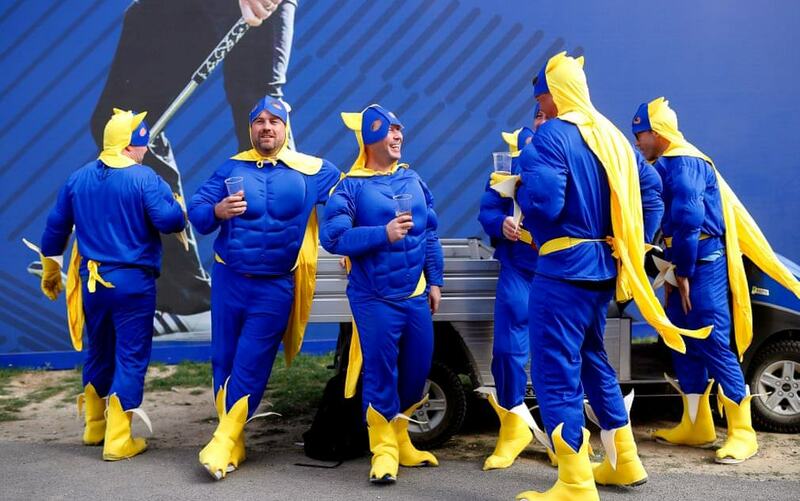 Their fans liked a bit of dress-up too. Ah, the colours of the flag of the European Union. The Royal & Ancient were there too. 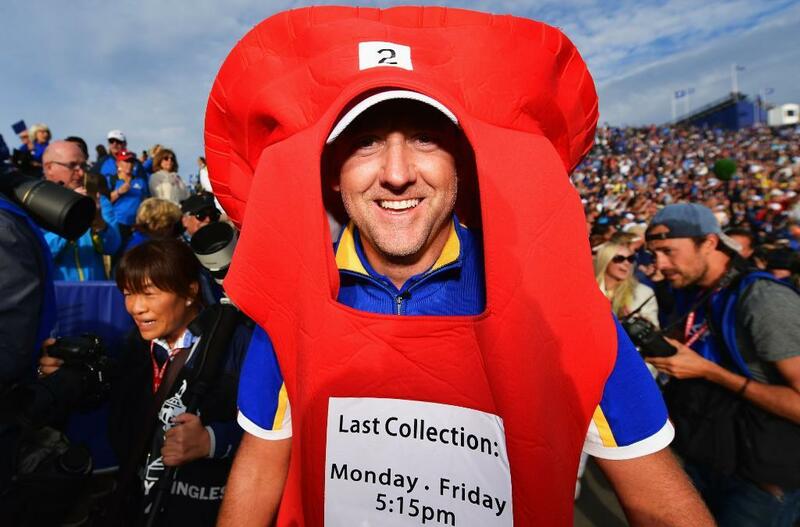 Make your mind up on Ian Poulter though. The Postman tag has been used so many times before, but at least that outfit would protect his ribs which got a real hammering during the weekend. 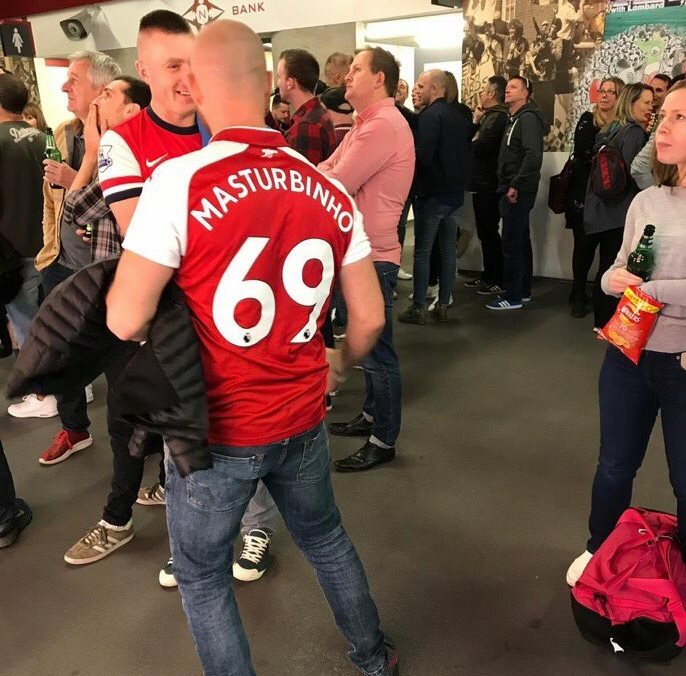 Speaking of Arsenal fans, isn’t this guy a real character? The training pitch at German club Hoffenheim. 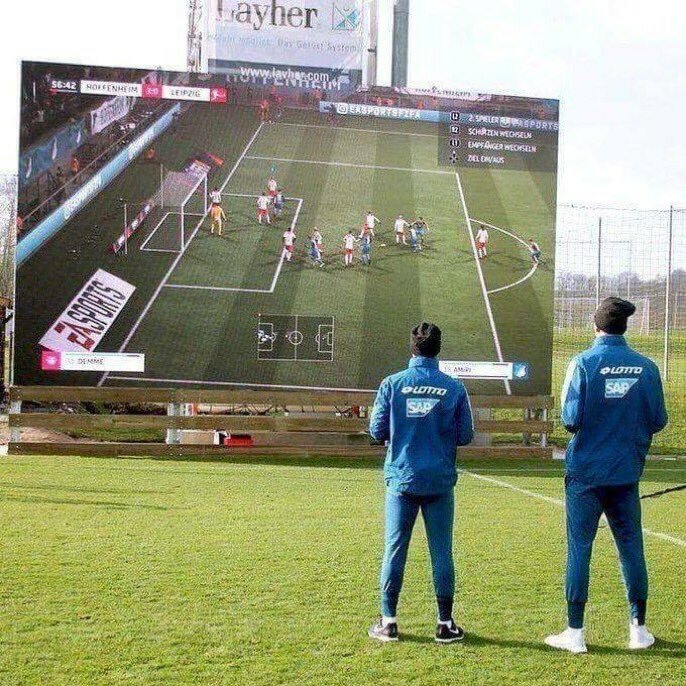 The coaches use the wall to show players in real time where they can improve while training. Very organised. 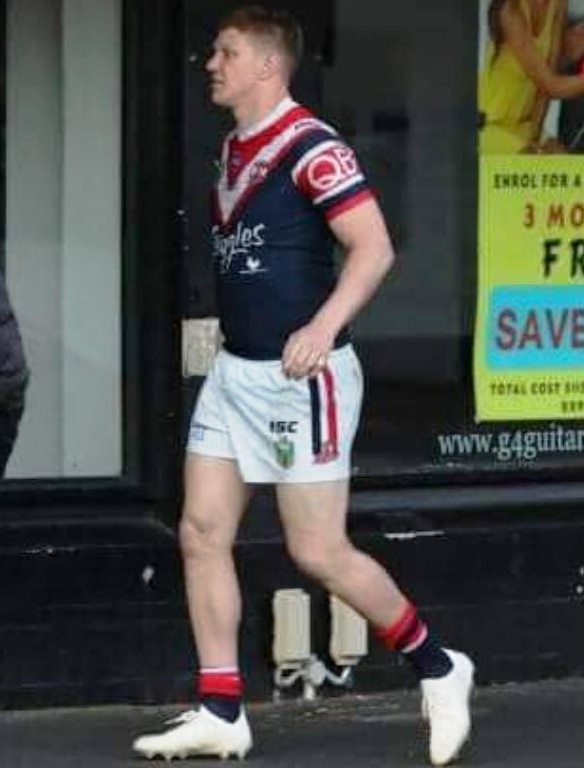 Roosters’ Dylan Napa, filmed a full 15 hours after he left the field on his way to their victory parade. 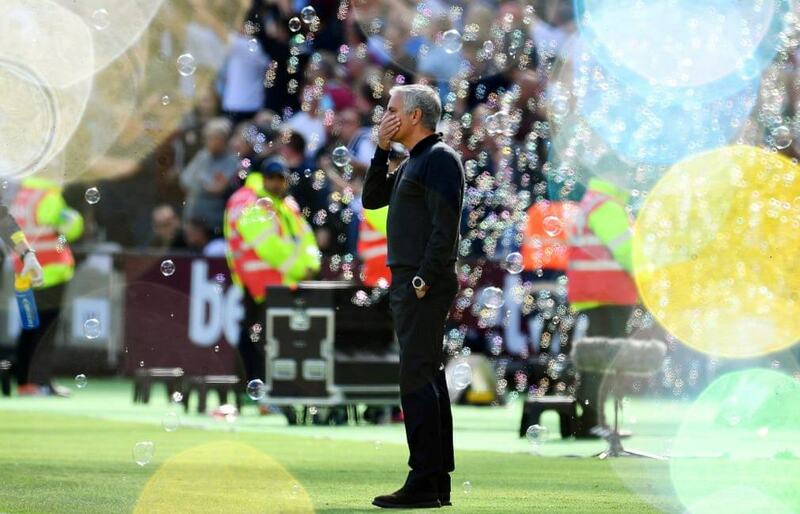 Note that he’s even still got his boots on. In other Classy Australians at play news, the Warners are on their form of charm offensive. 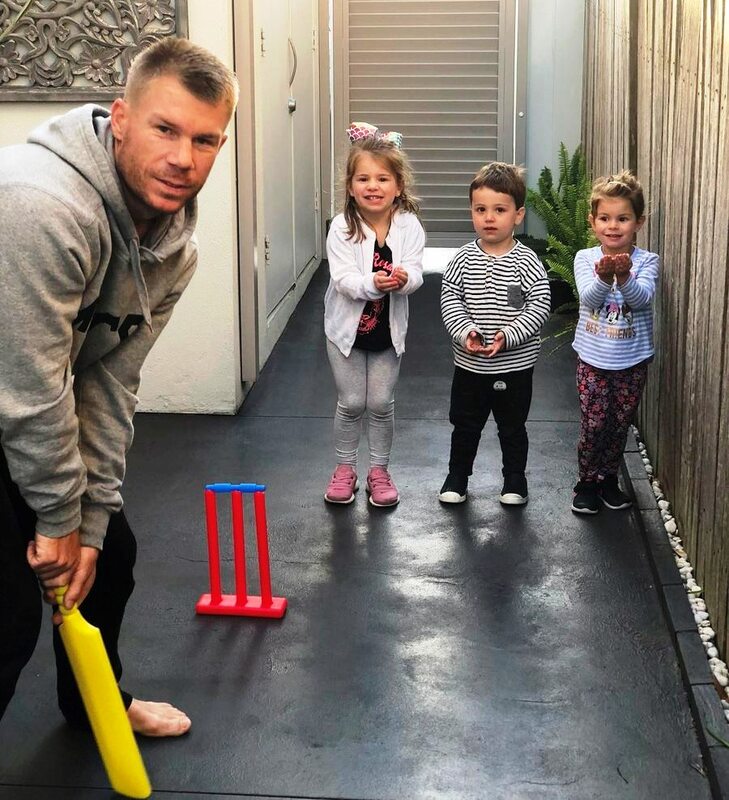 The one non-family member, fielding at first slip, seems a bit bewildered by the whole thing. 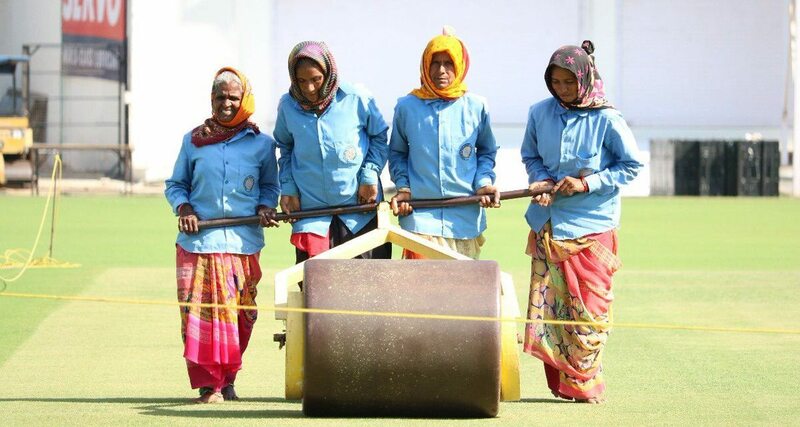 Ground preparation at Rajkot before the first India v West Indies test. 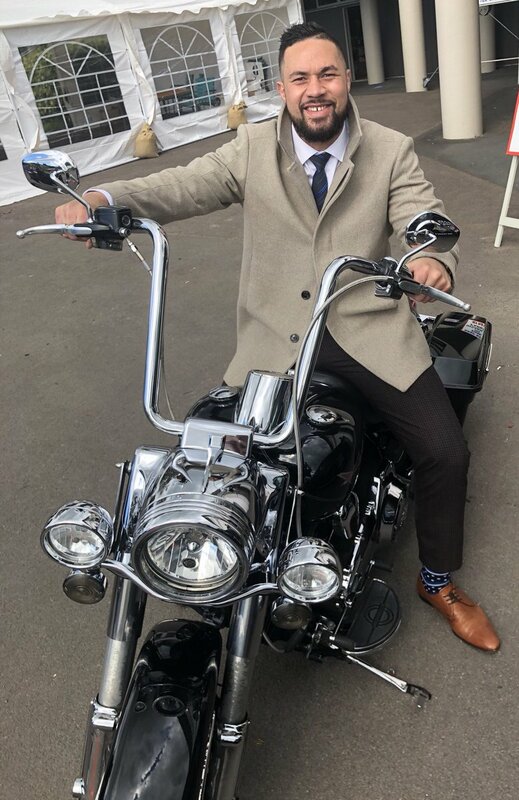 Joseph Parker searching for a new opponent. 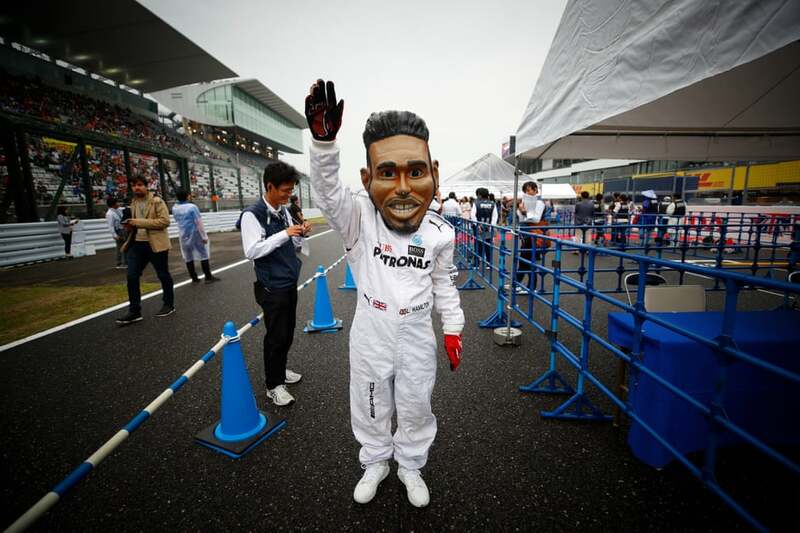 A fan dressed up as Lewis Hamilton at the Japan F1.